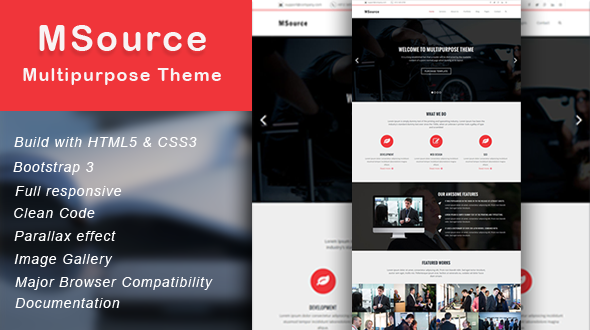 Msource is a 100% responsive and parallax Multipurpose template. It is very clean, creative and elegant theme. Msource is powered with Bootstrap 3.3.0 Framework. All files are well organized and documented so anyone can use, modify or customize this template. It can be customized easily to suit your wishes.